Lot 27 BR Oval Brass Steam Locomotive Worksplate. 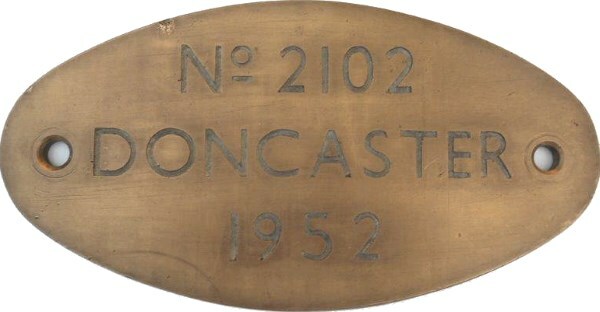 "No 2102 - DONCASTER -1952". As carried by a Class 4 Ivatt 2-6-0 built 1952 loco No 43157. Allocations included Yarmouth Beach, Boston, Retford. Ex Loco condition.